Wouldn't you know, we would have actually been on time for church but we had a flat tire! It took a little over an hour to change the tire, and I'm not very impressed with the jack that comes with the Kia Sedona. Loren split the knee on his pants, that's the third pair in the last month that have worn out, I know what he needs for his birthday! I am very thankful this did not happen yesterday. 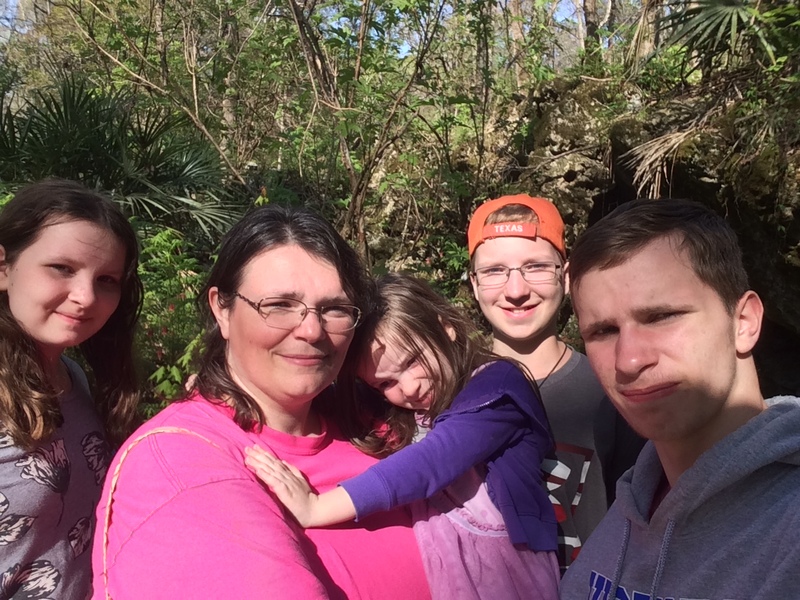 We took a family drive down the Natchez Trace, Did some hiking near Rocky Springs and continued over to Fayette. Loren got to drive on some very narrow dirt roads. John had a 3 hour nap on the drive, so he was up quite late last night. He can be quite a night owl with Loren. My thoughts and prayers are with Bathurst, New Brunswick community and Bathurst High School as it is mourning the tragic accident were 8 were killed in a collision with a tractor trailer. I pray the Lord will give His peace to the survivors of the accident and to the families involved.